Los Angeles, Riverside, San Diego and Orange County. Please become a sponsor and let us add your name to our list of donors. We will be planning our activity schedule for young people in the community soon. If you have programs we can add to our calendar, please contact us. 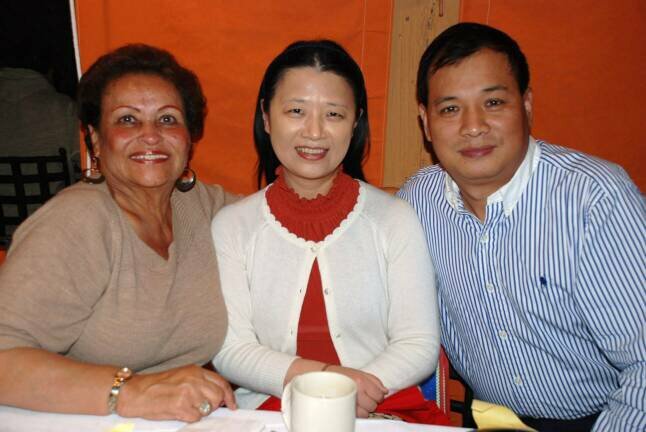 Carmen Blake and May Lin with business associate planning for future educational community programs. Please support the Sickle Cell Foundation and the research that is ongoing. Brockman Institute is a supporter of SCD.